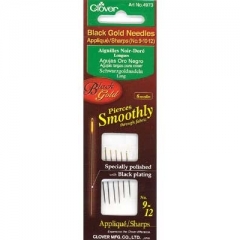 Black Gold hand-sewing needles are the finest and most exquisite needles ever. The needle is 30% less friction-resistant than conventional hand-sewing needles. The needle is polished along the axis and coated with ultra-thin black plating for anti-rust resistance. Experience astonishing smoothness with each use.